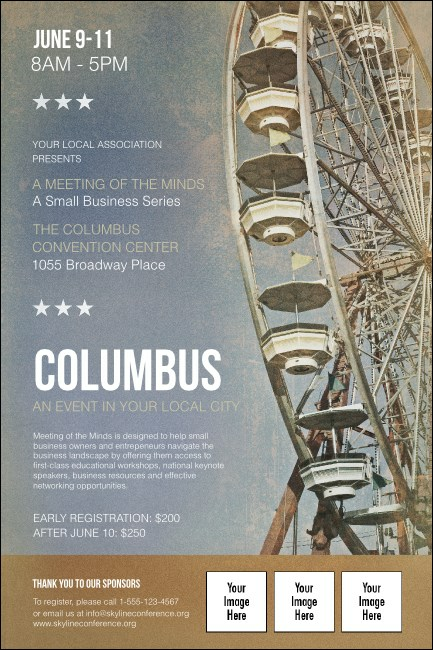 Discover your potential for awesome pre-event promotions when you print Columbus Posters and advertise your next Discovery City event in advance. Promote your Midwestern pride with Posters that feature room for three personal image uploads on a Ferris wheel background with a tan stripe and a distressed effect. TicketPrinting.com helps you discover Ohio advertising that’s more than fair!